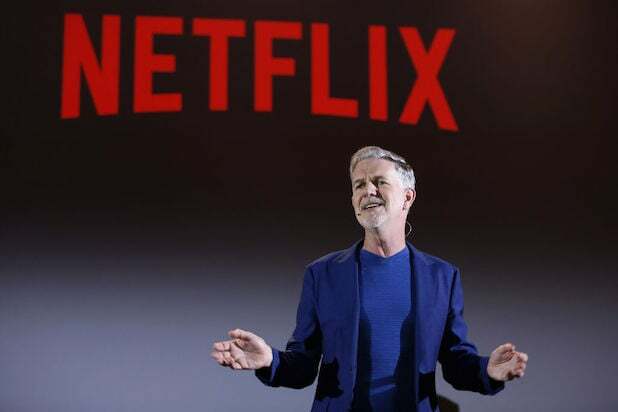 Some Netflix customers became concerned the company is considering an ad-supported model after it began testing the placement of short promos for other Netflix content in between episodes. But not so fast, bingers: Netflix says the promos are completely skippable and the feature is being tested on a small handful of users. Over the weekend, a Reddit thread titled “Netflix forced me to watch an unskipable [sic] ad for Better Call Saul” received more than 4,000 upvotes. The promos were also the subject of angry comments on Twitter. “We conduct hundreds of tests every year so we can better understand what helps members more easily find something great to watch. A couple of years ago, we introduced video previews to the TV experience, because we saw that it significantly cut the time members spend browsing and helped them find something they would enjoy watching even faster,” a company spokesperson in a statement provided to TheWrap. The spokesperson told TheWrap that the current test is not a signal that the company is planning on introducing ads or commercials into the service. They say that only a small portion of members currently have the feature and that most tested features don’t make it onto the service. Netflix’s statement added “a member is able to skip a video preview at anytime if they are not interested.” The Reddit thread, while still available to see, has been removed so no other comments can be posted. Netflix is looking for more ways to increase marketing organically through its own platforms, and cut down on outside marketing expenses. The company spent $1.278 billion in marketing costs for 2017 and already more than $1 billion through the first six months of 2018, according to the company’s quarterly-earnings reports. The tested feature is similar to one Netflix tried out in 2015, when it briefly presented pre-roll promos for Netflix originals to a small subset of users. There has long been speculation in the industry that Netflix would eventually accept ads on its platform once its member growth starts to slow. During an industry conference in January, CBS’ ad sales chief Jo Ann Ross predicted that Netflix will eventually offer advertising on its service. “Maybe they will offer an ad-free version or a lower-cost version with ads in it,” Ross said. The female-fighting characters on "GLOW" throw punches, kicks and toss each other around in the wrestling ring. These leotard-clad ladies are also excellent at delivering perfect one-liners sure to put anyone in their place. Here's a round-up of our favorite one-liners from Season 1. Season 2 premieres Friday, June 29 on Netflix.